VLS 001 3" Hgt. x 6" Diam. 0.8L. VLS002 3 ¾” Hgt. x 7” Diam.1.5L. VLS003 4 ¼” Hgt. x 9” Diam. 3L. 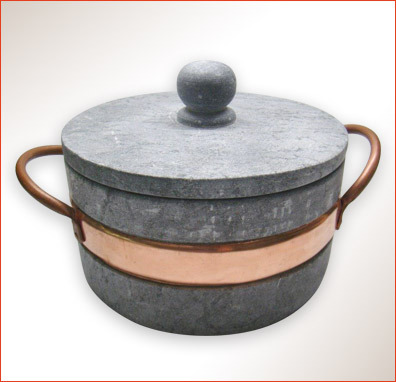 Handmade Soapstone Pot with Copper Band and Handles. 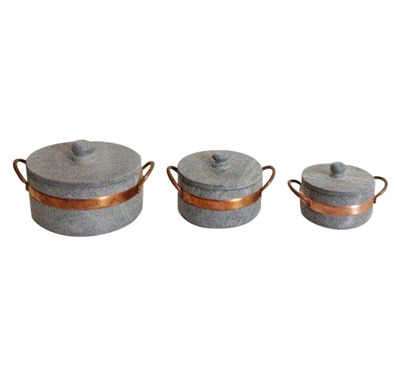 For use in oven or on stovetop.